Having dental anxiety is an incredibly unfortunate, yet very common condition in the United States. Millions of people every year avoid seeing their dentist for regular checkups and cleanings because they either had a negative experience with a previous dentist or because they hate the stimuli associated with dental offices. This only puts them at risk of contracting oral and even more serious diseases later on. 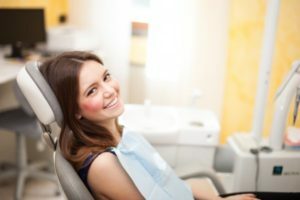 If you’re struggling to see your sedation dentist in Carrollton, you’ll want to review their sedation options to protect your oral and overall health! When you miss a dental exam, there’s no way to tell if your current brushing regimen is working to protect you from tooth decay and gum disease. Only a trained professional can catch the early signs of these conditions and provide treatment accordingly. If you want to avoid periodontitis or oral infections, you’ll need to make it out to your dentist at least every 6 months. Additionally, you might think that a proper, at-home, oral care routine is enough to protect your teeth. However, you aren’t capable of removing tartar or cleaning the deep, hard-to-reach areas of your mouth on your own. Only your sedation dentist in Carrollton can perform these treatments thanks to their advanced dental tools and medical devices. In the past, oral health and overall health were exclusive from each other. Today, that divide is slowly eroding as more research indicates the link between the two. Chances are if there is disease in the mouth, there’s a higher chance of disease in the rest of the body as well. For example, patients who have gum disease also have a higher risk of contracting other more serious diseases, including heart disease, stroke, diabetes, and even Alzheimer’s. If you skip dental exams, your dentist may never be able to detect the early stages of oral cancer, which can easily spread to other parts of your body if not promptly treated. Thankfully, your sedation dentist in Carrollton has the solution to your dental anxiety or fear. At their practice, they offer two common methods of sedation during treatments: oral and nitrous oxide. Nitrous Oxide – This mild sedative is administered through a small nasal mask worn for the entirety of treatment. It’s designed to make you feel relaxed, making it easier for you to get treatment and for your dentist to work. It comes with no hangover effect and is easily adjustable, so if you get anxious, the dentist can just add more to keep you calm. Oral Sedation – This sedative comes in the form of a pill and produces a mild to moderate level of strength for sedation. You’ll have very little memory of the procedure, but its effects will last a few hours after treatment is complete. Therefore, you should have a guardian drive you to and from the appointment to ensure your safety. Don’t let anxiety get in the way of your necessary treatments. Your dentist in Carrollton won’t give up on you, so schedule an appointment with them today! Dr. Rajiv Shekhadiya earned his Doctor of Dental Surgery degree from New York University. One of his specialties is helping his patients feel very comfortable and safe during dental visits, which is why his practice offers sedation to treat dental anxiety and phobia. To learn more about his practice and how sedation can help you, contact him at (469) 892-6647 or visit his website.